This is Java Calendar, 2018 November. 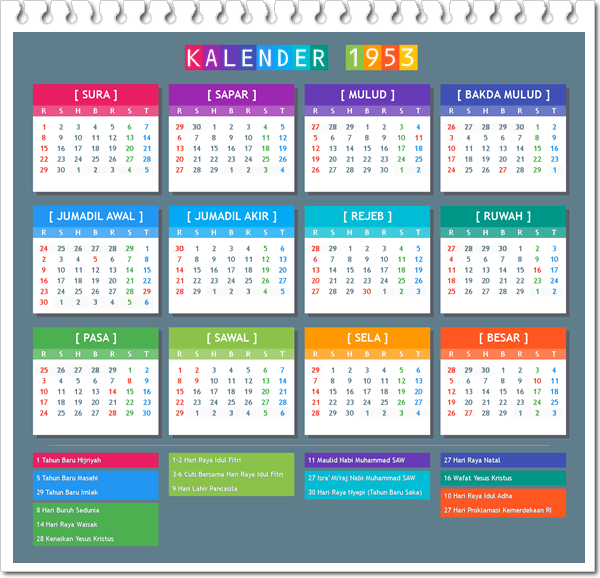 Java Calendar 2018 for the period of November 2018 begins on the 21st of Sapar 1952 - Be, Sengara Langkir on Thursday night until the 21st of November 1952 - Be, Sengara Langkir on Friday wage. Belum ada Komentar untuk "Java Calendar 2018 November"